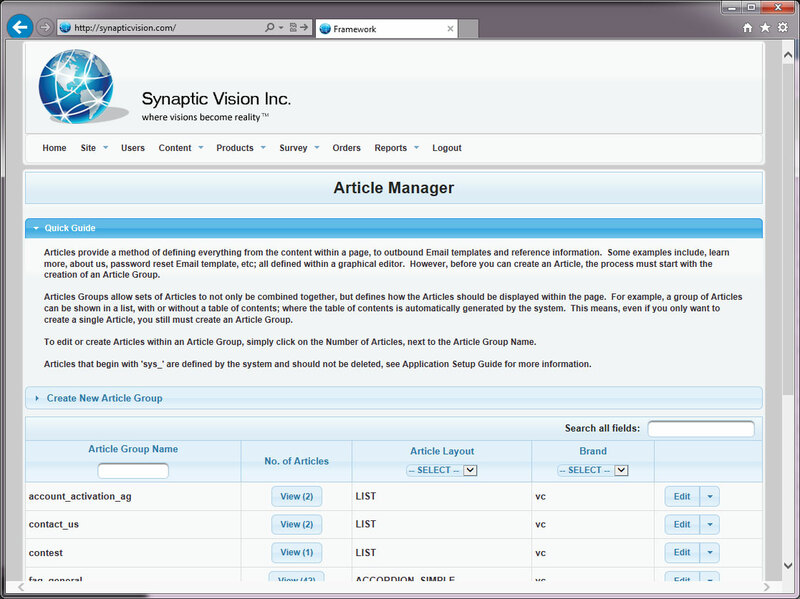 The following screens provide an overview of the functionality and flexibility of the Synaptic Core Framework. 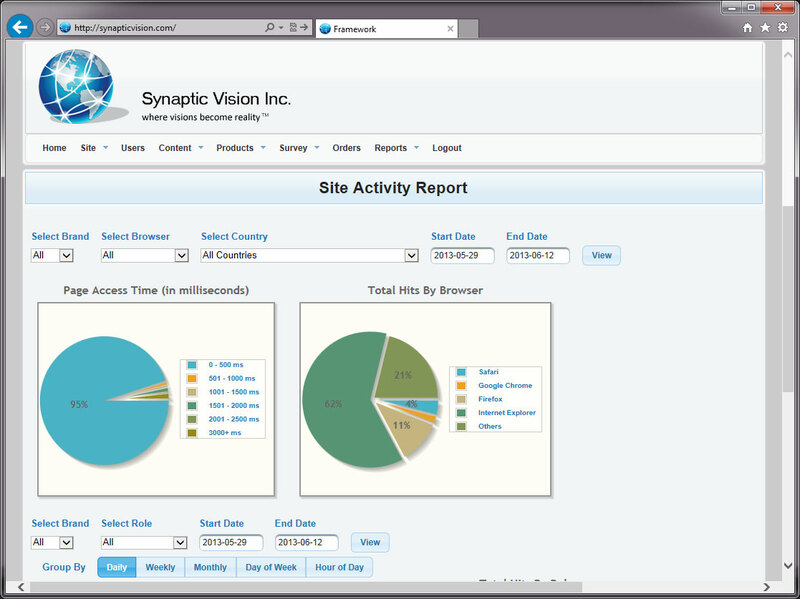 For more information, please click here to schedule a full demonstration and a free process analysis for your organization to find out how the Synaptic Core Framework can save your business time and money. 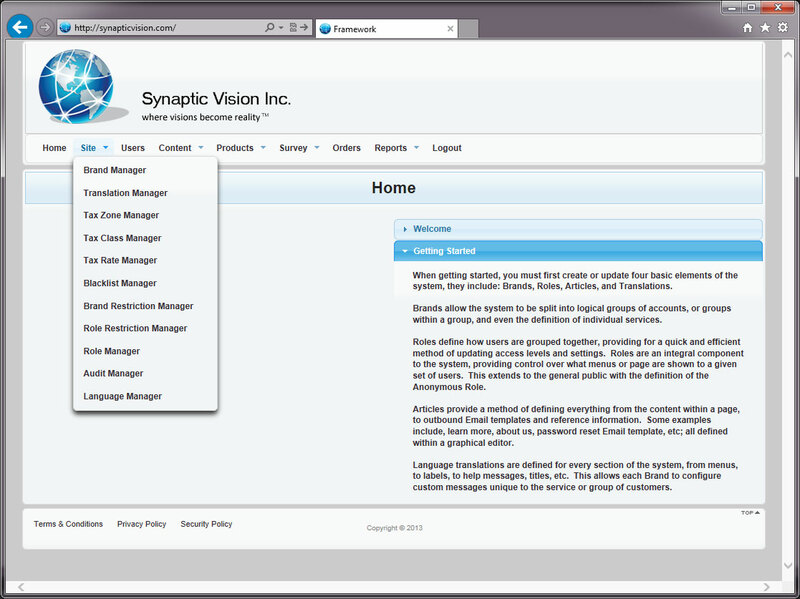 Centralized control, providing secure access to every aspect of your system. 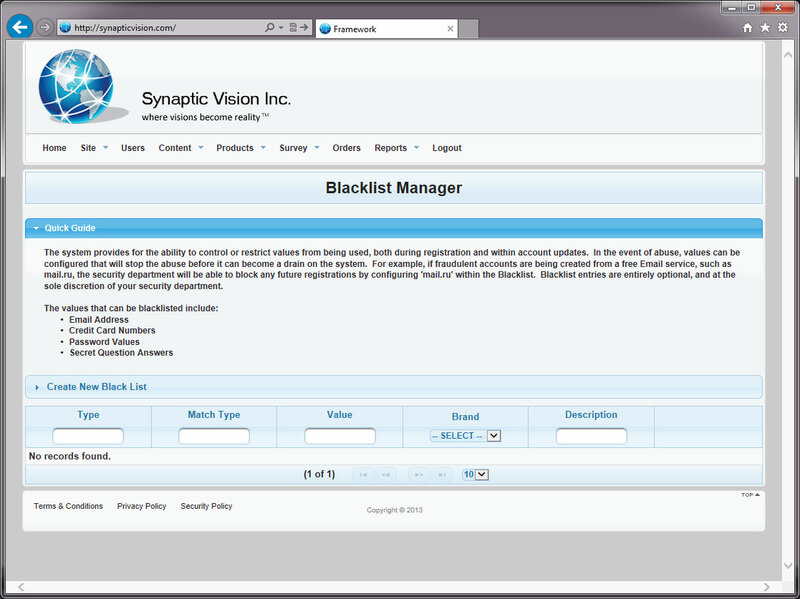 Provide individualized restrictions for each organization and department using the system. 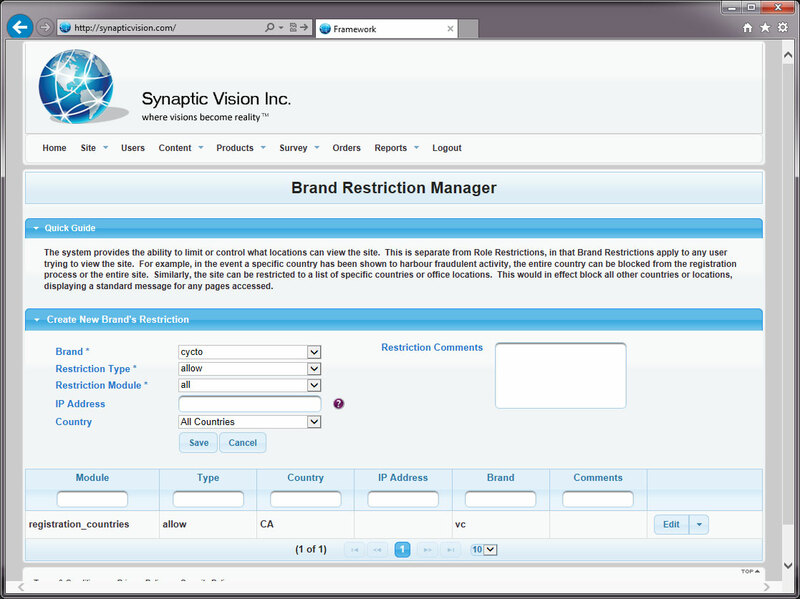 Complete control over site restrictions, protecting your business. 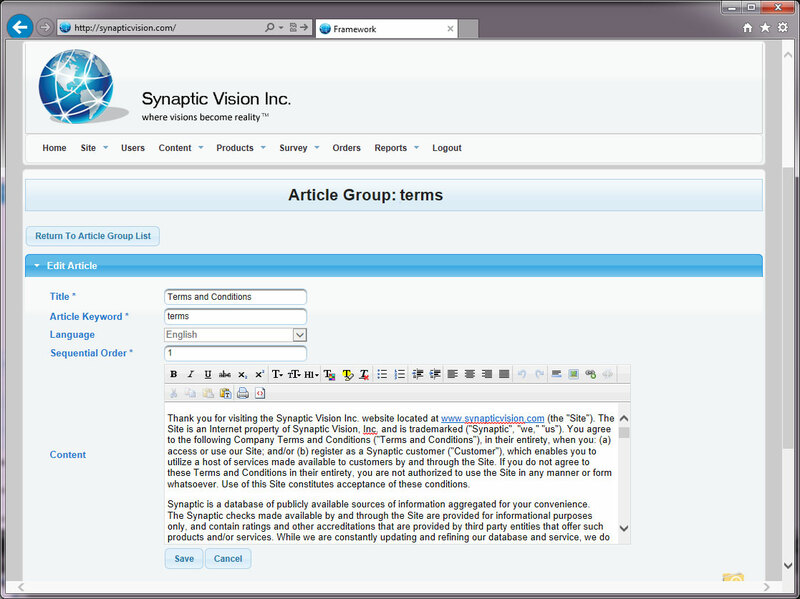 Design and configure your own site using intuitive graphic editors and wizards. Quick user guides help you navigate through every aspect of the system. 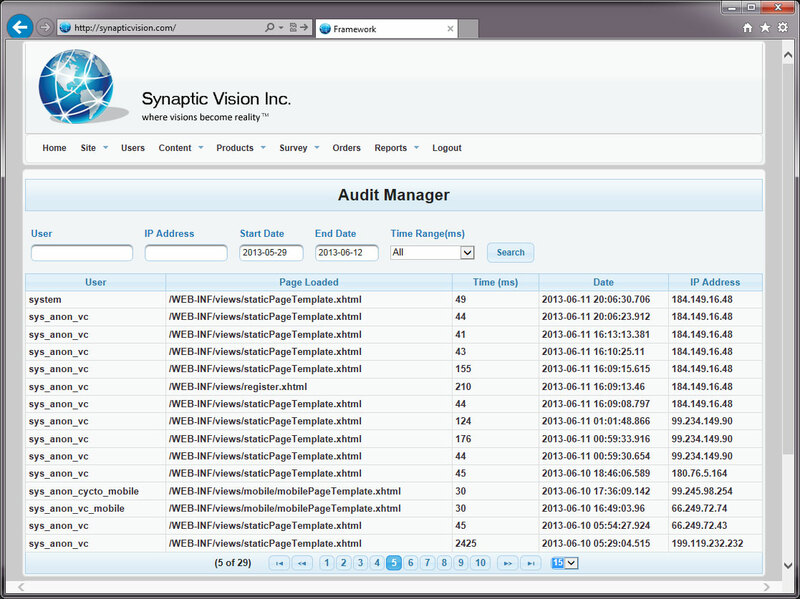 Monitor every facet of your system, from an individual's access, to performance and error capturing. 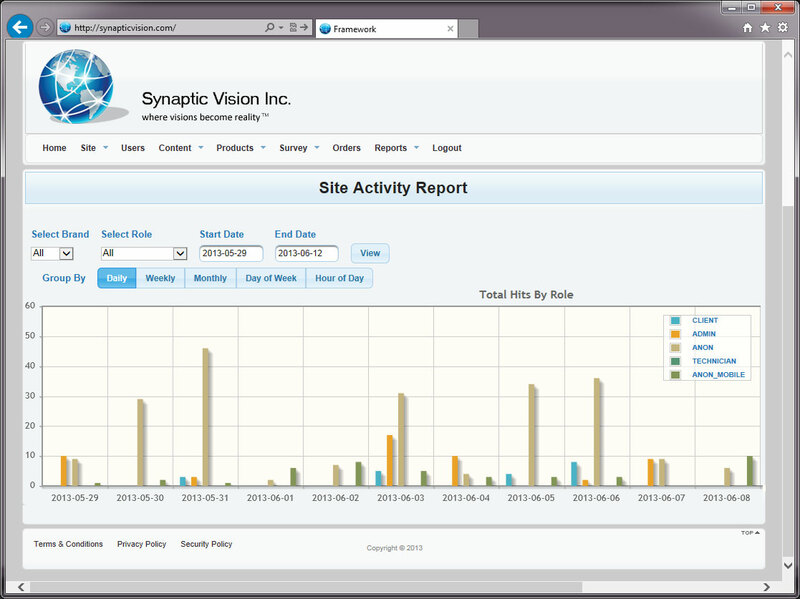 Interactive reports show how your system is performing . . .
. . . and how users are interacting with the application.